One of the things I love to do when playing a game is to go beneath the surface – really think about how the universe works and why the characters might act/react the way they do. Though that line of thinking tends to lead me down a never-ending rabbit hole, I think it’s worth delving into. So, join me as we explore some of the questions I’ve asked myself about the spiral. 1. Where exactly are our backpacks? 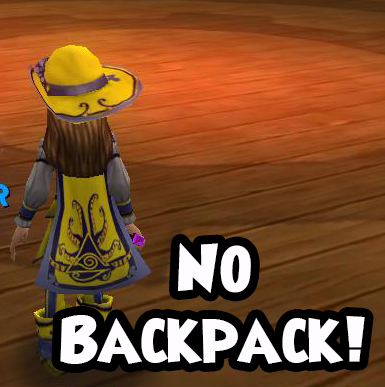 In both Wizard101 and Pirate101, we have backpacks that hold the various items we collect on our adventures. But, where is it? In neither game do we visibly see a backpack, and if we’re not wearing it, where would it be? Wizard101 has more flexibility with this question because of the existence of magic. There could be a shrinking spell that we use to shrink the backpack and put it in our pockets, or perhaps it even works like Harry Potter’s invisibility cloak and it’s there the whole time? However, what’s Pirate101’s excuse? One could argue that magic exists in that game too, but it’s certainly not as widespread. Even if a shrinking spell did exist in the spiral, I think it’s a stretch to think that our pirates would know how to cast it (let alone make it work properly). If invisibility backpacks do exist, I suppose Skull Island could be importing them from Wizard City. Who knows? 2. What came first – the Hatchling or the Egg? 3. What about our family? This question is thoroughly explored in Pirate101 (it’s established we’re an orphan), but isn’t touched on at all in Wizard101. During character creation, Merle Ambrose tells Gamma that he’s found someone with amazing potential who could save Wizard City. When Gamma asks where, Ambrose replies, “A very, very distant realm … my goodness! On a world that doesn’t even believe in magic!” While it’s impossible to know if every single world within the spiral believes in magic, I think we can safely assume that Ambrose meant our IRL world – Earth. We know that we end up going to Wizard City to save the spiral, but that begs the question … what was our life like prior to becoming a wizard recruit? Did we have a family? Or were we an orphan like in Pirate101? If we did have a family, how did they feel about us leaving? How much time has passed since we left? Do we even know that we left Earth voluntarily? Now THAT’S a rabbit hole! 4. How do our ships “fly” in the Skyways? You know how everyone pokes fun at how the jump feature is “useless?” Well, it does serve at least one purpose! The jump feature establishes that gravity exists in the spiral. Since we’re able to jump and land (fairly quickly) on every world we visit, we know that gravity exists pretty much everywhere. So, if gravity exists in the spiral, how do our ships not fall into the skyway’s deep abyss? The sails may help the ship catch wind, but the weight of the hull would render that useless. The ships don’t have wings like an airplane, so what’s keeping it up? Someone could argue that the Windlanes have special properties to keep the ships up, but that’s not right … we’re not restricted to flying in the Windlanes. Do the ships themselves have floating mechanisms built into them? 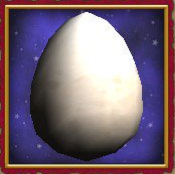 Or, are they another supposed import from Wizard City? Wizards could surely use levitation spells to float anything they want. 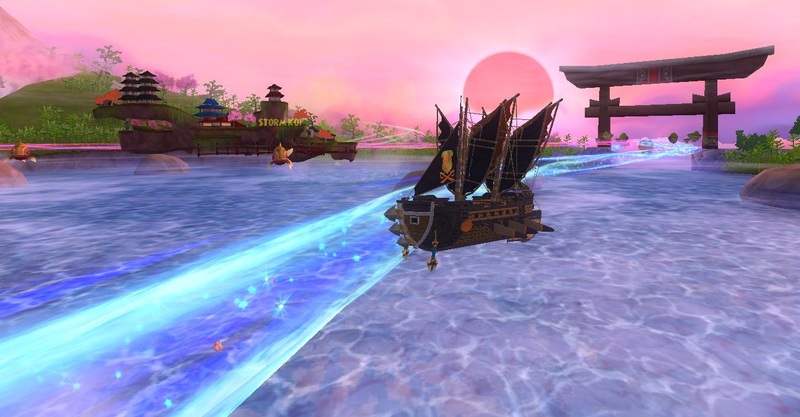 We may never know how Pirate101 ships are able to defy the laws of gravity. 5. What and when do we eat? We’re trying to save the spiral all around the clock. How do we keep our energy up to do that? When do we sleep … or eat? WHAT do we eat? 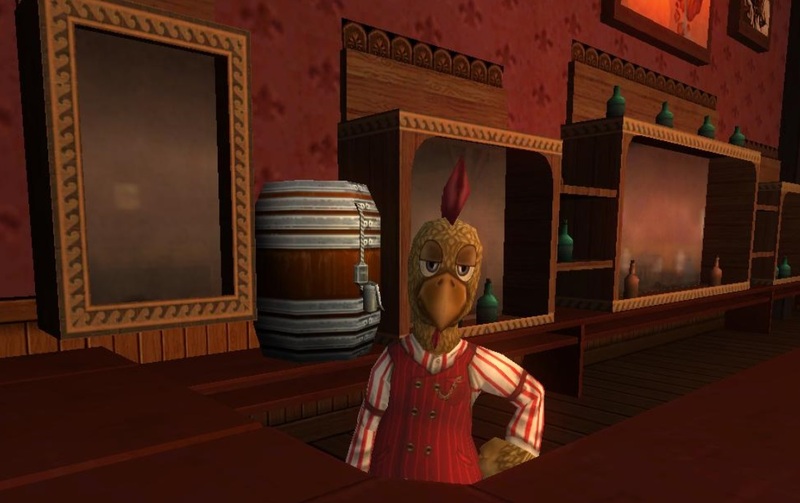 Pirate101 has taverns which no doubt have drinks, but what about food? Well, since most drinking establishments do serve food, I’m going to give Pirate101 the benefit of the doubt and assume that its taverns also offer meals. Wizard101 on the other hand doesn’t really have anything resembling a place to eat. Sure, we could eat the food from Gobbler King’s stash, but that would run out eventually. We could also eat any food dropped by bosses (or buy them in the bazaar), but do we really know where that food has been? It could be poisoned for all we know. They ARE our enemies after all. I mean think about it – there must be a reason why everyone places those crates of pumpkins in their castle for decoration only. Soooo that leaves me with 3 possible options. Pet Snacks. Wizards could be eating snacks intended for their pets. I’m not sure how delicious they would taste, but hey … it’s something. Enemies. Now hear me out! Not just ANY enemy (that’d be gross!). If you recall in the quest “Down the Rabbit Hole” (coincidence? I THINK NOT! ), Tarley mentions how their crops “ripened into pure evil.” Now, according to dictionary.com, the definition of ripe is: “having arrived at such a stage of growth or development as to be ready for reaping, gathering, eating, or use, as grain or fruit; completely matured.” Even though Tarley’s crops turned pure evil, they became RIPENED in the process. That means they’re rich and ready to eat! If they’re evil anyway, why not just … take advantage of the tasty opportunity? Eat the Baby Carrots, Dead Beets, and Evil Snow Peas after we defeat them? I mean, they started off as normal crops. You never know, okay?! And those are the incredibly weird things I think about when playing Wizard101 and Pirate101. Do you have any other ideas or questions that you ask yourself while playing? Let me know in the comments below.